Sodium Bicarbonate is an amazingly versatile powder of goodness. 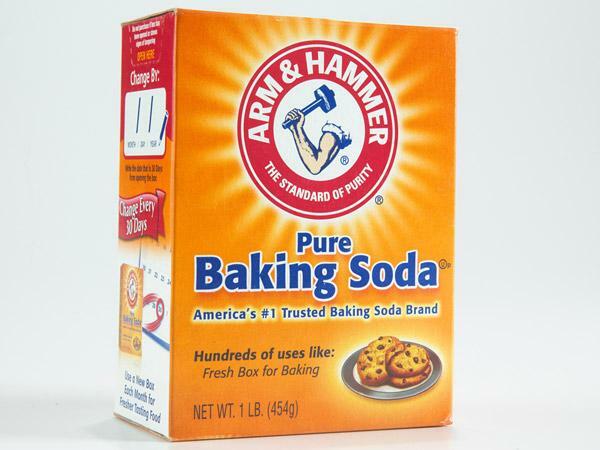 How many things in your life has someone said that baking soda was the answer to your problems, or at least one of the ingredients? It is obviously used for baking, but it is in quite a bit of other products you most likely use. Arm and Hammer has made its way into things like soaps, cat litters, floor cleaners, toothpaste, odor removers, and even the volcanoes from your 4th grade science projects. It has also made its way into our reef tanks! 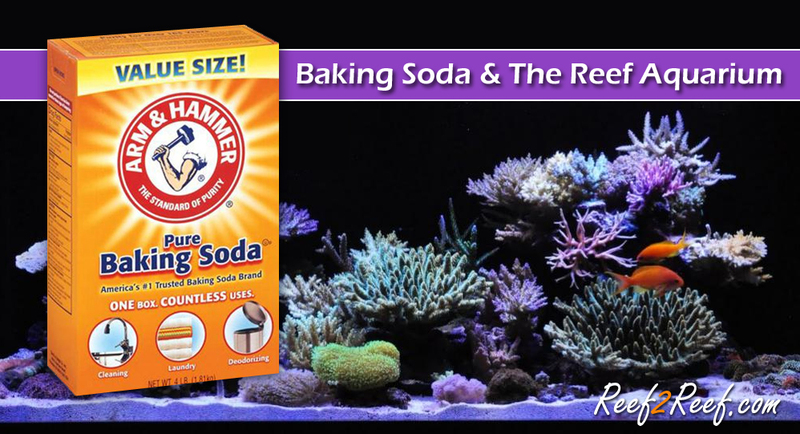 Baking soda is widely used to increase the amount of carbonates in reef tanks, pools, and any other water source that may need them. It is not easy to test for carbonates so we have to go a different direction. Instead, we test for alkalinity. Alkalinity is the measurement of how much acid it takes to lower the pH down to the 4-5 range. A good range for alkalinity is between 7-11 dKH. Before you adjust your alkalinity you must have your calcium and magnesium levels adjusted before you can productively manipulate then Alkalinity. Baking soda seems to have greater effects when baked first. When you bake sodium bicarbonate it turns into sodium carbonate and seems to have a quicker effect on alkalinity. Using uncooked baking soda may lead to a drop in pH for a period of time upon dosing. When baked it makes it go up. Never get baking powder. They are not the same thing and you will cause algae to grow because it contains phosphates. Simply get a cookie sheet, non greased of course. 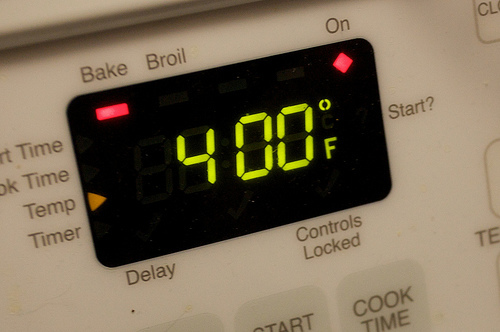 Spread the baking soda on the cookie sheet and preheat the oven to 400 degrees. Let it bake for one hour once the oven is up to temp. Once I your timer goes off you have a successful batch of baked baking soda! Some ovens work as differently as our reef tanks so you may have to adjust your temp and cooking times until you have found your oven’s sweet spot. Sometimes you may notice your alkalinity is high to begin with. If that is the case you might want to investigate the source. Normally it is in the brand of salt you use. Some salts are just high in alkalinity and the only solution is to buy a new brand with a lower level. Do a few good water changes and you will be good to go. The only way to determine your alkalinity demand is by testing. You should only dose enough to raise the dKH by 1 per 24 hours for the safety of the animals as a sudden rise can fatally shock their bodies. There are plenty of online (CALCULATOR LIKE THIS) to determine your recipe. Once you have your amount you can simply mix it into a liter of reverse osmosis water and slowly add it to the tank through out the day or dose it halves. This is an advanced technique and should be practiced with EXTREME CAUTION. Do not ignore important steps out of impatience. Make sure you are capable of lowering the pH in an emergency should you overdose the tank. You MUST make sure your calcium and magnesium levels are in check before you proceed with powdering your tank. For more Information on baking soda and it’s uses you can just skip past that Martha Stewart Video you had book marked and start a thread in the (R2R CHEMISTRY FORUM). To stay up to date on the latest saltwater reef aquarium topics and news sign up for a FREE account here!